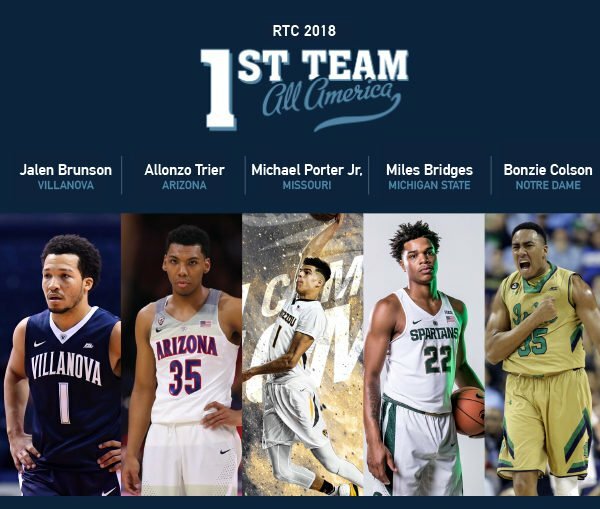 RTC is providing wall-to-wall coverage of the NCAA Tournament again this season. Make sure to follow us @rushthecourt throughout Final Four weekend. After having issues earlier this year North Carolina is where they were expected to be. This hasn’t been the smoothest ride for the Tar Heels, who started the year at #1 in the polls before dropping out of the Top 10 following two early road losses. Despite that they have managed to put the pieces together to develop into the juggernaut we thought they could be. 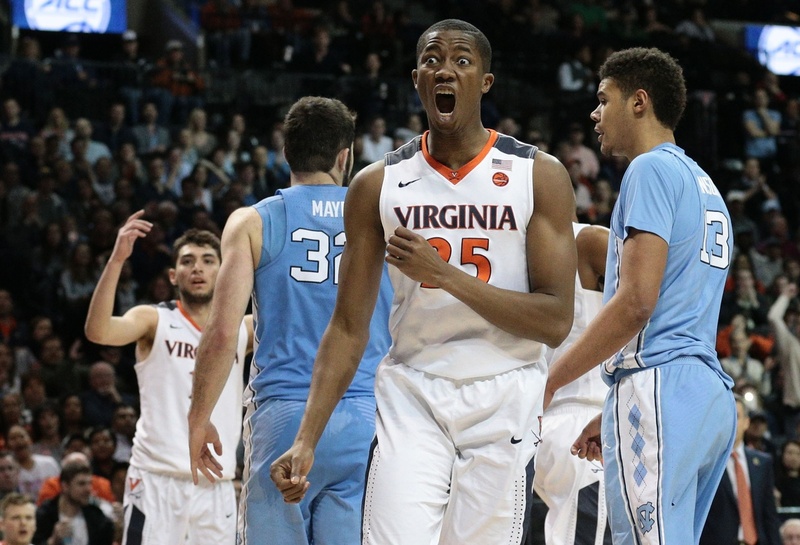 Since February 6, they have only lost two games (a ridiculous one-point home loss to Duke where they stopped going to a dominant Brice Johnson and a five-point road loss to a Virginia team that ended up earring a #1 seed itself). 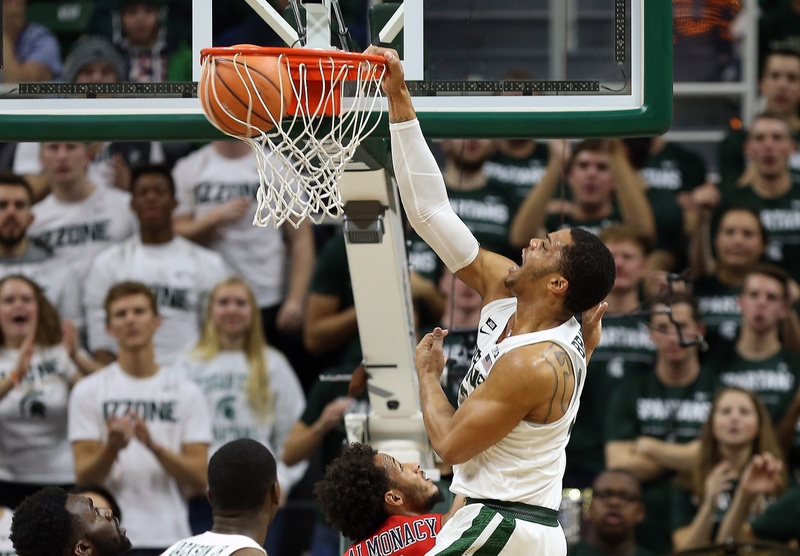 They still have their issues (like their inability to hit 3s reliably), but they find themselves exactly where we expected them to be when the season started: playing for the national title on the first Monday in April. Syracuse couldn’t make its magic happen one more time. 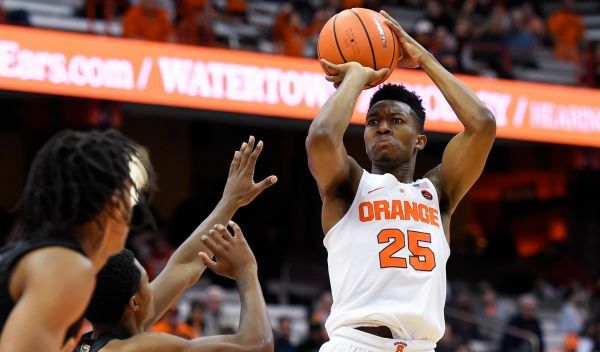 Lost in all of Boeheim’s vitriol has been what an improbable run this has been for the Orange. Sure, they got a huge boost when Middle Tennessee State beat Michigan State (ok, they got a huge hand even before that when they were allowed in the NCAA Tournament with a questionable resume), but they played out of their mind in the last two rounds coming up with huge rallies to stun both Gonzaga and Virginia to get to the Final Four. They weren’t one of the four best teams in the country this season, but that shouldn’t diminish the magical run they had getting to Houston. Monday night will be a contrast in styles. By now it should be pretty obvious what UNC’s strength is (interior play) and what Villanova’s strength is (perimeter play). We will have more on this between now and Monday night, but it will be fascinating to see the contrast with Villanova essentially having nothing inside beyond Daniel Ochefu and North Carolina being inconsistent from the perimeter to put it mildly. Now that the Final Four is set, our writers have put together a fact sheet on each of the four teams still remaining. Next, North Carolina. East Region Champions. North Carolina faced little resistance from Florida Gulf Coast in the first round and then used a strong second half against Providence to advance to the Sweet Sixteen in Philadelphia. Once there, the Tar Heels throttled Indiana on the strength of a 1.42 points per possession effort. 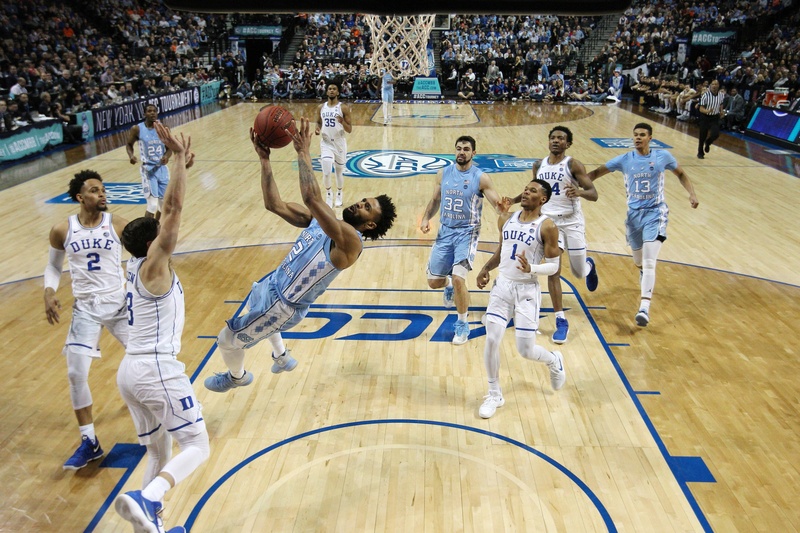 In the regional final, North Carolina answered a spirited charge from Notre Dame midway through the second half by dominating the paint in pulling away for a 14-point win. Roy Williams. This is Williams’ eighth Final Four appearance in 28 seasons as a head coach, the fourth-most all-time behind Mike Krzyzewski, John Wooden and his mentor, Dean Smith. 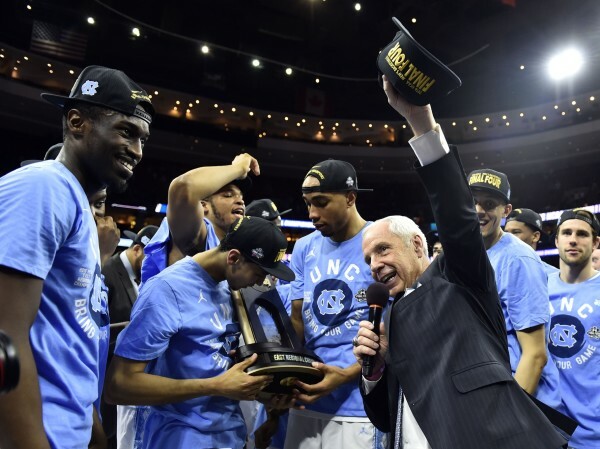 Williams has faced his share of criticism over the last couple of years given the academic scandal involving North Carolina, but his team has successfully blocked out that distraction this season. Williams is moving towards the end of his tenure as a head coach (some retirement rumors have been floating around) and his team will head to Houston as the clear favorite to cut down the nets for what would be Williams’ third national championship at his alma mater. Coming into this season, North Carolina was considered one of the best bets to make it to Houston for the Final Four. 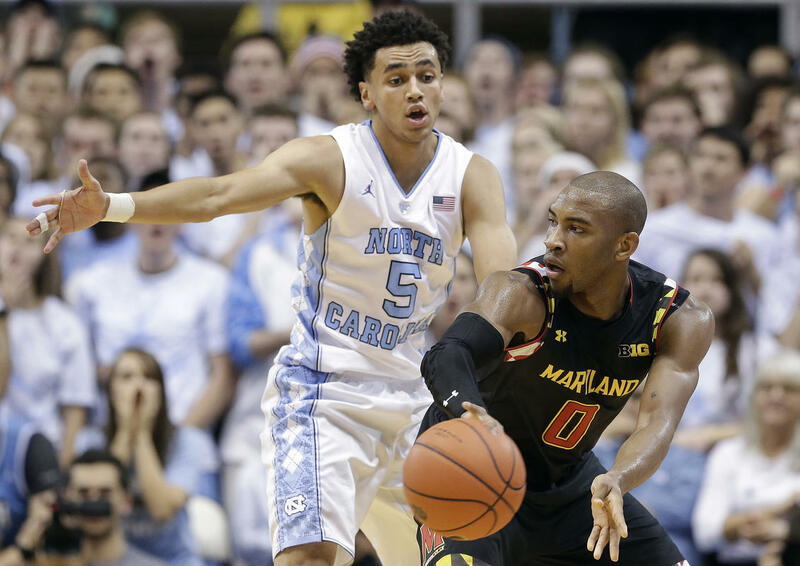 Those expectations for Roy Williams’ squad were in large part due to the return of senior guard Marcus Paige. Unfortunately, Paige suffered a broken hand before the season began and the Tar Heels dropped an early game against Northern Iowa in his absence. But Paige made an impressive return to the lineup last week in convincing wins over Maryland and Davidson, helping North Carolina look like the team that many expect to challenge for a spot in the season’s final weekend. Although North Carolina performed reasonably well without Paige, the Heels are clearly a better team with their senior leader back on the court. A solid two-way player throughout his career, Paige has already had a positive impact on both ends of the floor. Joel Berry, Theo Pinson and Nate Britt admirably filled in as long-range threats without Paige in the lineup for the team’s first four games against top-100 competition, but eventually that trio cooled from three-point range (see below table). In the two games since his return, Paige has directly contributed (6-of-10 on threes) to UNC’s improved shooting, but he has also helped his teammates get better looks. The rest of the team has made 42.3 percent of its long-range attempts since he returned, for a total of 47.2 percent. 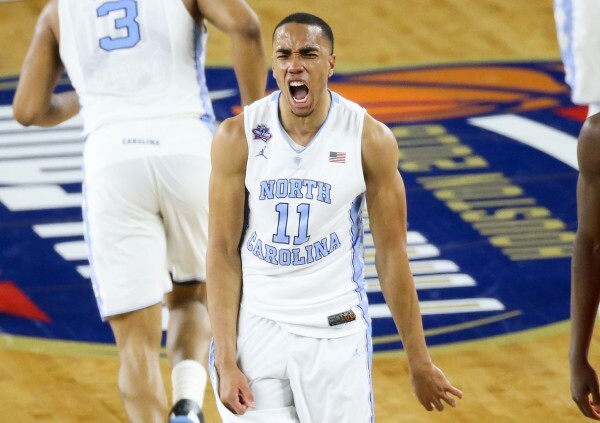 When Marcus Paige broke his hand on November 4 and it was announced that North Carolina’s star guard would miss the first several games of the season, the obvious positive spin on the situation was easy to anticipate. The Tar Heels would still win its first several games comfortably while the other guards on the roster would be gifted a great opportunity to improve. 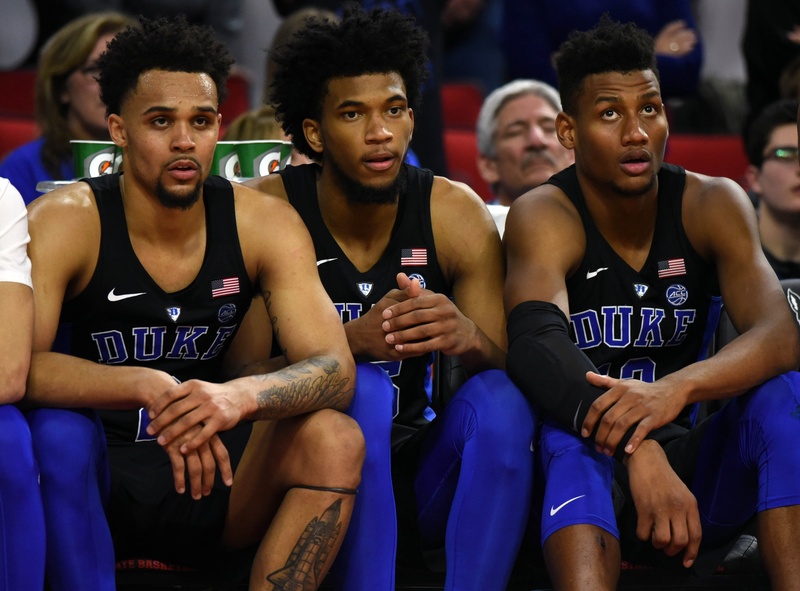 Upon Paige’s return, the narrative went, his backcourt mates would have greater in-game experience to support the ACC’s Co-Preseason Player of the Year in their quest for a National Championship. Sometimes spin turns out to be reality: After the Tar Heels’ first two games of the season, that plan seems to working out beautifully.